Our little clown Rico is off to his new home right here in Jackson. 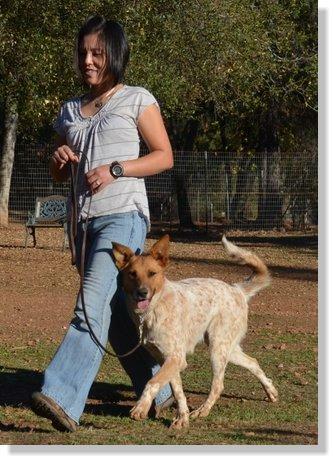 One of our clients who already has a Cattle Dog mix was out for a lesson and she fell in love with Rico. Rico and Jasper get along beautifully and as I always say….. A tired puppy is a good puppy!! Rico will have a nice big fenced yard to keep him safe, a buddy to play with, cats to keep him in line and a very loving mom! 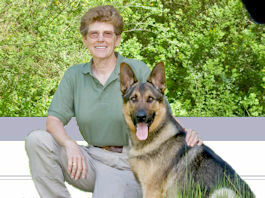 Rico and Jasper will continue to come out for more training. 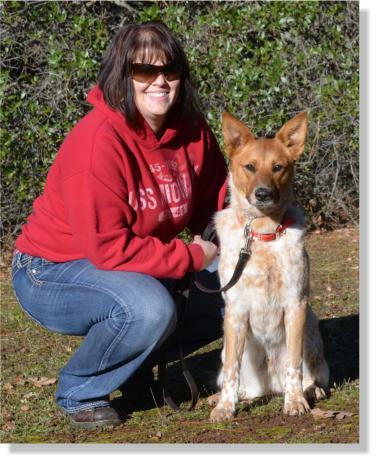 Rico hails from the Calaveras Humane Society. 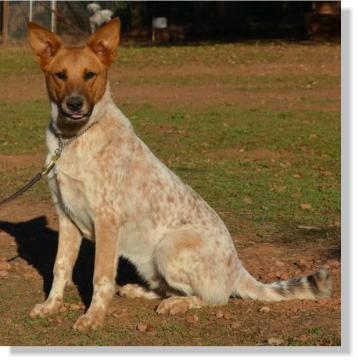 He is about 8 months old and is cross between a Cattle Dog and something really big! Sometimes I see German Shepherd or maybe Akita but the only one that knows is Rico and he is not telling us a thing. He seems to be very smart and willing when it comes to his obedience training. His very first lesson was in one of our drop-in group classes which can be very distracting for a puppy but he did great. Within 30 minutes, Rico was doing a very nice heel, auto sit, was staying in his sit and was introduce to a down and down stay. All of this was with 12 other dogs all around him. Very smart boy! him on any pack walks yet but we are sure he will do just fine. Hopefully he will try this behavior with one of the" big dogs" and they will properly put him in his place. 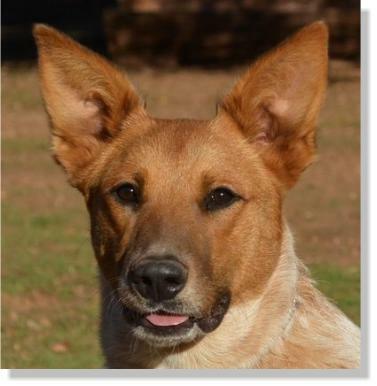 Rico would love to have a family to call his own but he probably should go to a home that does not have real young children. He still does some puppy play biting that might frighten a small child. A large yard would be nice as a tired puppy is a good puppy!! 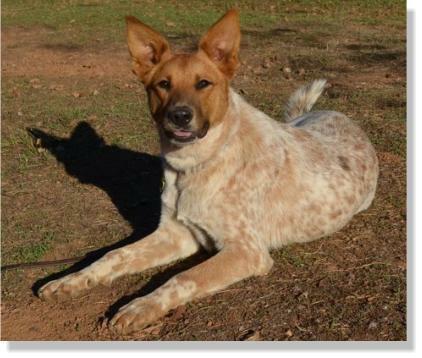 Rico has been playing with both male and female dogs and has done real well with both. It is unknown how Rico is with cats as we have not had a chance to test him yet. If you would like to come out to meet this handsome boy, please give us a call to set up an appointment to come out to the ranch.